Lebanon VA | Abingdon VA, Bristol VA, and Bristol TN Area Real Estate :: Highlands Realty, Inc. The area has strong Appalachian traditions of family and small-town living, but has access to one of the most advanced knowledge-based environments through the fiber-optic broadband available. The friendly people of this quaint town will make your experience living in Lebanon an extraordinary one. 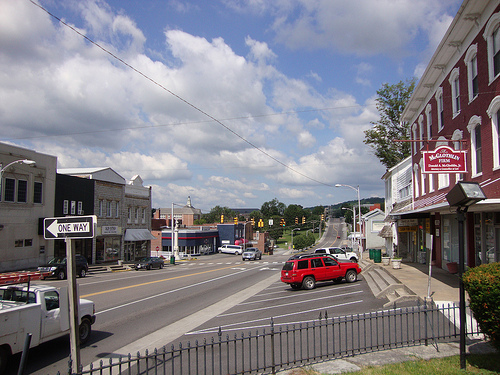 Located in the beautiful rolling hills of the Clinch Mountains, Lebanon, VA is small town known as “The heart of Southwest Virginia.” It is thriving as a high-tech business hub which includes software company CGI Federal Inc. The advanced fiber-optic broadband connection offered in Lebanon allow its residents to work for worldwide companies while remaining in the town they love. Lebanon has much to offer being a county seat for Russell County, hosting popular local events and having an abundance of outdoor activities. The median home price in Lebanon is approximately $155,000. The cost of living in Lebanon, VA is 16% lower than the state average and 10% lower than the national average. The lower cost of housing and living with the high-tech amenities make Lebanon, VA an ideal location for many to call home.